Ammunition adhesives and sealants have become increasingly more sophisticated and Hernon Manufacturing has long been a leader in this industry. Custom military applications are the root of Hernon’s existence. The ammunition industry face the same concerns as other industries regarding sustainability and ecological responsibility in an environment of increased competition. 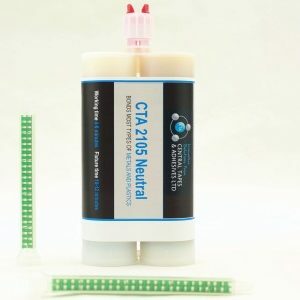 Ammunition adhesives and sealants available from Central Tapes & Adhesives Ltd the UK & European Technical Specialists and Distributors for Hernon Manufacturing, view our Ammunition pages and please contact us to discuss your ammo needs. A medium viscosity, UV and LED curable compound formulated to provide high performance, fast curing, coating and sealing of ammunition blank tips and the discharge particles of this sealant will not perforate the paper upon discharge. This product will cure up on exposure to UV light within 2 seconds and is formulated for high speed production line. Also available in purple as grade 48641. Ammunition adhesives and sealants such as our Hernon 48641 Blank Ammunition Sealant 48641 Is a medium viscosity, UV and LED curable compound formulated to provide high performance, fast curing, coating and sealing of ammunition blank tips. This product is also used for shallow potting applications. 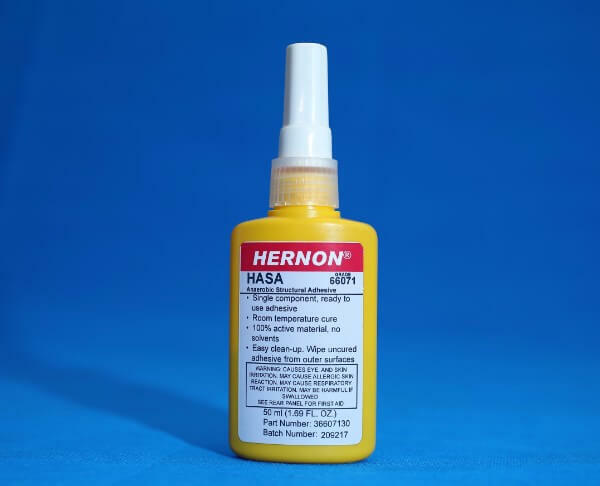 Hernon Blank Ammunition Sealant 48641HV is a higher viscosity, UV and LED curable compound formulated to provide high performance, fast curing, coating and sealing of ammunition blank tips. This product is also used for shallow potting applications. A single component clear color, U.V. anaerobic sealant. 59541 is a low viscosity penetrating material capable of bondin g and sealing primers and bullets in ammunition. It is specially formulated for pre-assembled components; it works by capillary action offering sealed ammunition, improved standard deviation and bullet pull force. Sealed ammunition will meet and exceed the US Army and US Navy waterproofing test within 30 minutes. This product cures upon exposure of 2 seconds to UV light and formulated for high speed production. Internally the sealant cures anaerobically. The cured adhesive is visible under black light for vision inspection is a thermoset plastic with excellent solvent and environmental resistance suitable for temperatures -40F to 400ºF (204ºC). Ammunition adhesives and sealants such as our 59621 is a single component Red color, U.V. anaerobic sealant. 59621 is a low viscosity penetrating material capable of bonding and sealing primers and bullets in ammunition. It is specially formulated for pre-assembled components; it works by capillary action offering sealed ammunition, improved standard deviation and bullet pull force. Sealed ammunition will meet and exceed the US Army and US Navy waterproofing test within 30 minutes. This product cures upon exposure of 2 seconds to UV light and formulated for high speed production. Internally the sealant cures anaerobically. The cured adhesive is visible under black light for vision inspection is a thermoset plastic with excellent solvent and environmental resistance suitable for temperatures -40F to 400ºF (204ºC). 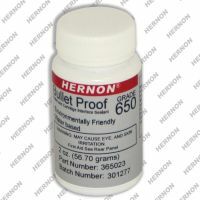 Hernon Bullet Proof 650 is environmentally safe Asphalt, water based ammunition waterproofing sealant. Formulated to waterproof and seal the interface between a bullet and cartridge. Bullet Proof 650 is formulated for internal coating and sealing of small, medium and large caliber ammunition. On the larger caliber ammunition the sealant is used to coat the inside of the shells as a barrier coating to prevent the reaction of the cartridge and the ignition powder. Hernon’s Bullet Proof 650 is approved on the US Army TDP for small caliber ammunition. 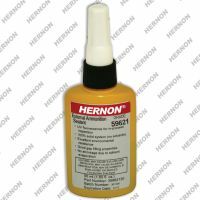 Hernon Shot Shell Crimp Sealant 55391 is a UV curable adhesive and sealant. This product is specially formulated to seal the shotgun shell crimp upon exposure of 2 seconds to a UV light. 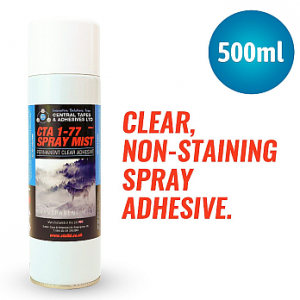 Sealant 55391 offers excellent water tight seal with excellent environmental resistance. This sealant is visible under exposure to black light for vision inspection; this feature combined with the fast cure capability makes this sealant ideal for high speed production. Hernon offers high speed curing and inspection systems. Hernon High Strength 76084 is a single component U.V. anaerobic sealant. 76084 has a low viscosity penetrating material capable of bonding and sealing primers and case mouths in ammunition. This Sealant is specially formulated for Ammunition that needs greater fit tolerance and higher bullet pull forces. Curing occurs when the adhesive is applied between mating surfaces. 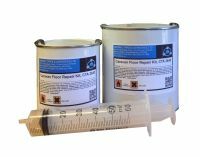 The cured adhesive is a thermoset plastic suitable for temperatures up to 400ºF (204ºC), and endures exposure to most solvents. 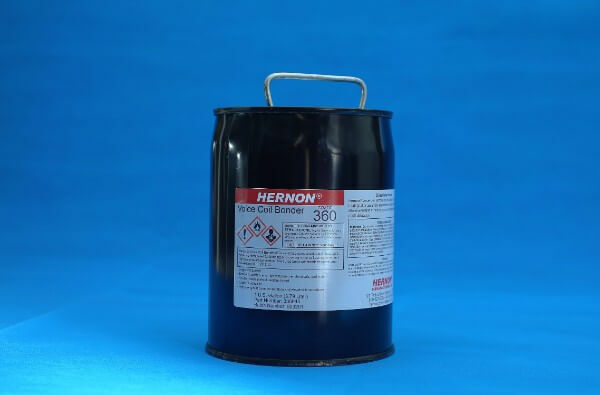 Hernon External Ammunition Sealant 59521 is a single component U.V. anaerobic sealant. 59521 has a low viscosity penetrating material capable of bonding and sealing primers and case mouths in ammunition. It is specially formulated for pre-assembled components; it works by capillary action sealing ammunition and improving bullet pull force. Curing occurs when the adhesive is applied between mating surfaces. 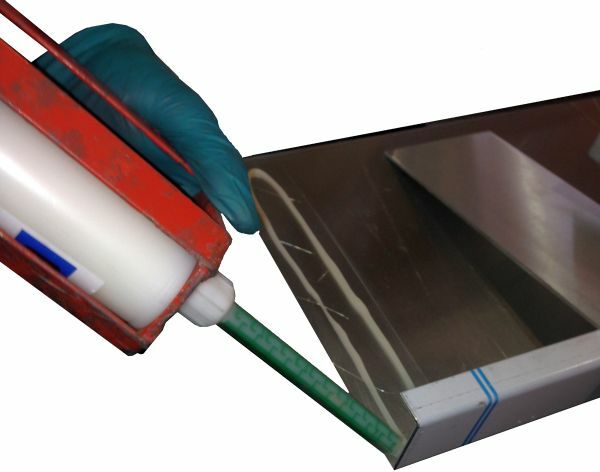 The cured adhesive is a thermoset plastic suitable for temperatures up to 400oF (204oC), and endures exposure to most solvents. Extreme weather and temperature resistant Silastomer 337 is a high performance, single component, ready to use clear adhesive sealant. Silastomer 337 cures to a tough, resilient and durable silicone rubber once exposed to moisture in the air. 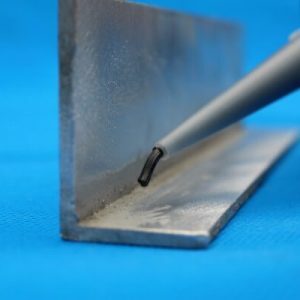 The neutral curing system of this extreme weather and temperature adhesive is designed to be used around sensitive electronics and electrical materials such as brass, copper and silver. Silastomer 337 will adhere to clean metals, glass, rubber, ceramic, many plastics and vinyl. UL approval for horizontal burn and mechanical adhesion. Silastomer 337 is ready to use, does not require mixing or additives. Moisture curing begins immediately after the product is exposed to air, therefore assemble parts within just a few minutes after the product is dispensed. This extreme weather and temperature resistant silastomer 337 starts to skin over in approximately 10 minutes, reaching full cure in 24 hours and a maximum adhesion in 7 days. 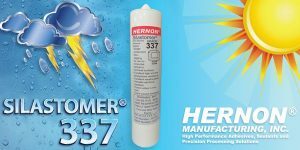 Hernon Silastomer 337 provides excellent resistance to moisture, weathering, vibration, ozone and extreme temperatures. It can be applied in surface temperatures of -18°C to +49°C (0°F to +120°F) with no loss in performance. Fully cured Silastomer 337 can withstand extended periods at temperatures up to 205°C (400°F). Extreme weather and temperature resistant Silastomer 337, when fully cured, meets requirements for Mil Spec MIL-A-46106B Type I. FDA compliant with regulation title CFR 175.105 where incidental food contact may be involved. High strength thread paste 432 is a brand new innovative technology. 432 is a is thixotropic, and has excellent high temperature characteristics. After being stored 24 hours at 200 deg C, when tested at 200 degrees C, it has prevailing torque of 200 inch lbs. The thixotropic paste consistency stays put on the threads, and does not drip off. It is an excellent product for mechanics or assemblers doing overhead work or small motors on a bench level assembly line. The 50ml tube has a ribbon tip applicator. this thread locking paste is a thixotropic version of Nuts N’ Bolts 439, a one component, high strength anaerobic adhesive. Nuts N’ Bolts 439 cures when confined in the absence of air between close fitting metal surfaces and prevents loosening and leakage from shock and vibration, it is particularly fast curing thereby reducing or eliminating the need for activators, particularly suited for heavy duty applications such as bolts used in transmissions, construction equipment or railroad assemblies where heavy shock and stress levels are required. 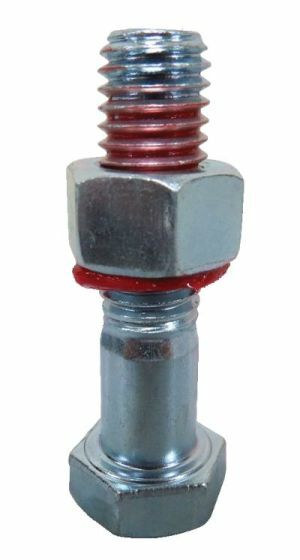 The thixotropic nature of Nuts N’ Bolts 439 reduces the migration of liquid product after application to the substrate. For more information on High strength thread paste 432, Nuts n Bolts 439 or any other Hernon or CTA products please contact us. Central Tapes & Adhesives Ltd are the UK & European technical specialists and distributors for Hernon Manufacturing Inc. Extreme weather and temperature resistant silicone 336 is a high performance, single component silastomer, ready to use adhesive sealant. It has a paste-like consistency, which cures to a tough, resilient and durable silicone rubber when exposed to moisture in the air. Since it will not flow of its own weight, silastomer 336 can be applied to vertical, horizontal and overhead joints without sagging or running off. 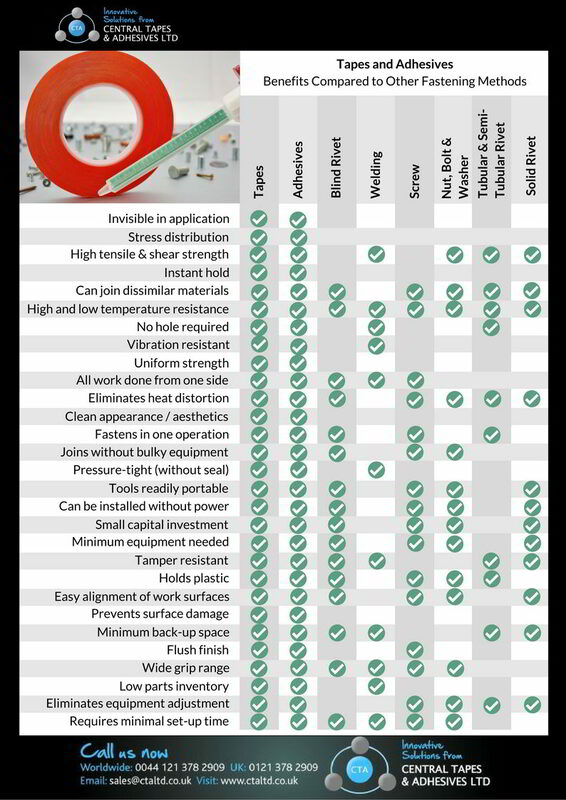 It will adhere to clean metals, glass, most types of wood, silicone resin, vulcanized silicone rubber, natural and synthetic fibre, ceramic, many plastics and painted surfaces. Silastomer 336 provides excellent resistance to moisture, weathering, vibration, ozone and extreme temperatures. It can be applied in surface temperatures of 32°C (0°F) to above 49°C (120°F) with no loss in performance. Fully cured Silastomer 336 can withstand extended periods at temperatures up to 204°C (400°F.) 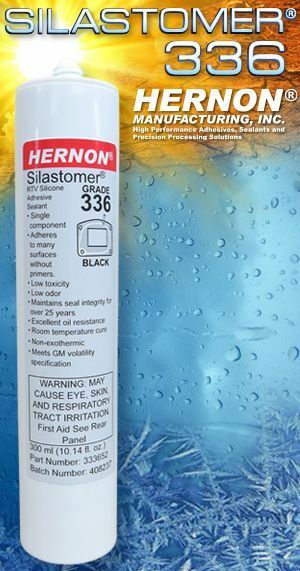 Extreme weather and temperature resistant silicone silastomer 336 will maintain its seal integrity for 25 years, is oil resistant and you can even dispense upside down and it won’t drip. When fully cured, Extreme weather and temperature resistant silicone silastomer 336 meets requirements for Mil Spec MIL-A-46106B Type I. Also FDA compliant with Regulation Title 21 CFR 175.105 where incidental food contact may be involved. Central Tapes & Adhesives Ltd are the UK & European technical specialists and distributors for Hernon Manufacturing Inc. Strongest structural adhesive available today, Fusionbond 372 is an outstanding choice for OEM and automotive manufacturers. New and improved version now available. 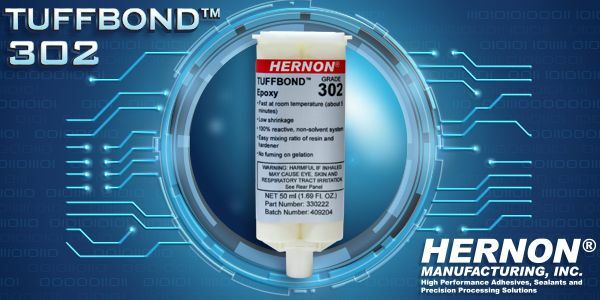 Fusionbond 372 is a highly thixotropic, two component, room temperature curing, 1:1 ratio, methacrylate adhesive system, formulated to provide fixture strength within 10 to 15 minutes. It is also Halogen free. 372 forms resilient bonds and maintains its strength over a wide range of temperatures and is suitable for bonding a variety of substrates with a minimum of surface preparation. 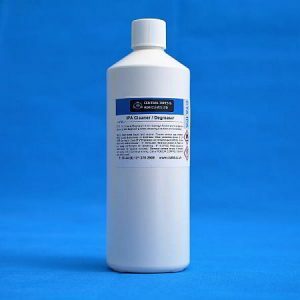 Recommended substrates are PVC, acrylic, ABS, stainless steel and some types of fiberglass (not recommended for use in pure oxygen and/or oxygen rich systems and should not be selected as a sealant for chlorine or other strong oxidizing materials). 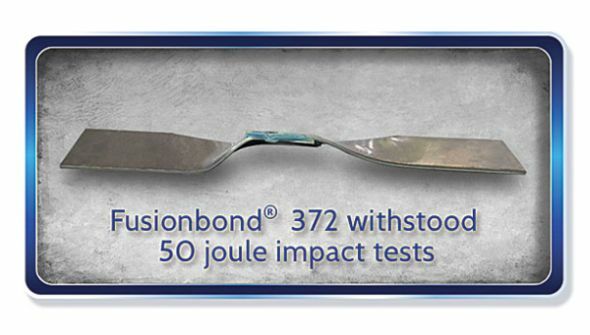 Fusionbond 372 withstood 50 joule impact tests. Central Tapes & Adhesives Ltd are the UK & European technical specialists and distributors for Hernon Manufacturing Inc. Please talk to us about your application contact us today. Fibre optic potting made easy with a selection of products made by Hernon Manufacturing. Tuffbond 302 is a modified epoxy adhesive that provides a very fast room temperature cure and exhibits very good moisture chemical and heat resistance. This very fast cure epoxy adhesive is specially formulated for rapid in-line assembly of loud speakers. Tuffbond 302 is also recommended for bonding metals, wood, ceramics and more it can be used for potting and the encapsulation of electronic components and is especially equipped for potting wiring harnesses for fibre optic cables. Tuffbond 67011 adhesive/sealant, a two component, 100% solid system, two to one ratio, room temperature cure system. Recommended for bonding metals, wood, ceramics, etc., and can be used for potting and encapsulation of electrical and electronic components, potting electronic boards, encapsulating electrical and electronic components, marine coating, underwater coating offering benefits such as excellent resistance to organic acids and bases, good mechanical properties, outstanding resistance to abrasion and non-critical mixing. More options available contact us to discuss your application and together we can find a Tuffbond adhesive for you! Aerospace, aviation, automotive, electrical, electronics, appliance, defence, ammunition, marine, engineered plastics, heavy equipment, maintenance, energy and utilities, industrial assemblies, medical device assemblies, composites. For more information and to discuss your application in detail please contact us. Central Tapes & Adhesives Ltd are the UK & European technical specialists and distributors for Hernon Manufacturing. 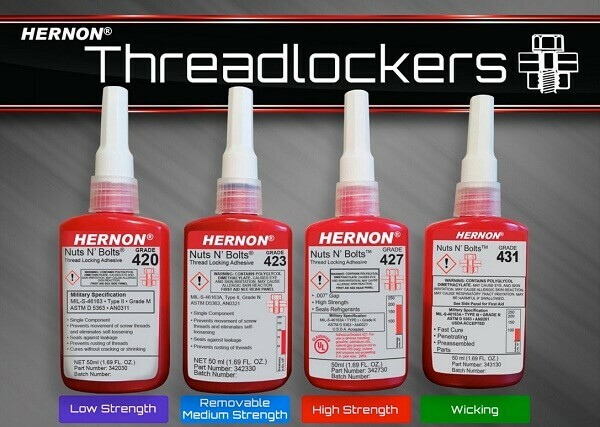 Ammunition adhesive and sealant equipment manufactured by Hernon Manufacturing the leader in this industry and distributed by CTA Ltd the UK & European technical specialists and distributors for Hernon. • Versatility of working with high number of different calibers with easy tooling exchange within 30-60 minutes per caliber. System designed to dispense micro precision beads of sealant onto each cartridge/bullet interface and onto each cartridge/primer interface. UV anaerobic sealants dispensed via digital Sureshot dispensing systems for precision sealant fluid control and consistency capable of delivering volume doses with extreme accuracy. Cartridge sealant assembly sequence cycle time is 0.2 per second each at 300PPM. Machine system speed is dependent on input feeding system and cartridge size. Special features include variable speed to 150 cartridges per minute maximum, designed to seal all pistol and rifle cartridges up to 50 caliber. 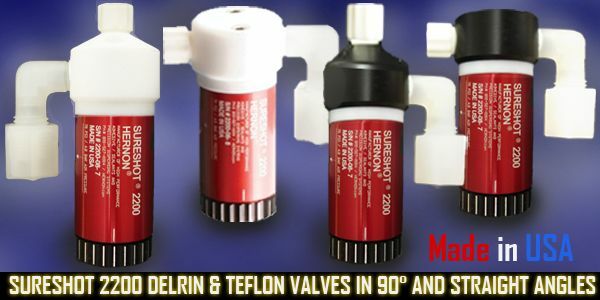 Dispenses micro-precision shot of sealants onto each cartridge/bullet interface and cartridge/primer interface with extreme accuracy in high volume high production industrial environments. 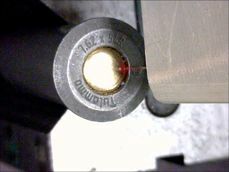 Optional vision inspection verifies sealant assembly on cartridge case mouth and primer. Utilizes Ultracure 6 and 7 LED UV technology to instantly cure exposed sealants. The Autosealer 5300 has a flexible robotic machine loading or a dedicated feed systems also available, operator control interface, colour touch screen ~HMI with navigational menus, counters, prompts, statistics and more. Hernons proven external ammunition sealants dispensed via Sureshot 3500 dispense jetting systems which provide consistent and precise fluid control without making contact. A one of a kind sealing machine engineered to dispense precise amounts of primer on to shotgun ammunition. Utilising Sureshot 3500 Microjet Technology, the machine is capable of dispensing one microtiter of sealant 6000 shots per minute. This precision, non contact, high speed dispensing is a result of Hernons persistent commitment to quality and thorough testing. Additionally, the 5250 comes with Ultraspot 1000 and fiberoptic Lineshot UV curing system for instant curing of all visible sealant. The Autosealer 5250 is capable of protecting live ammunition, should the sealant conveyor stop, by automatically shutting down all UV lamps. The 5250 system si equipped with precision touch screen controls for metering ou the perfect measure of sealant. 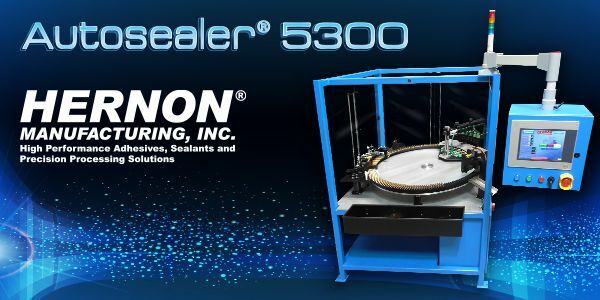 The Autosealer 5250 is s highly specialised shot shell primer sealing machine capable of sealing 80 rounds per minute and can seal multiple shot shell gauges; 12, 20, 410, 18 and 16.